It is the only residential Pilot Theoretical Training business in Scotland and independently provides the local, and more distant Flight Training Schools, with students qualified to start their flight training for their commercial pilot’s licence. Norman Beasant and Gerard McIver, the two founding Directors of Pathway, have just completed the fifth successful Acorn Enterprise 20-week Business Accelerator Programme, which has previously been featured in the Press and is run by one of our Community Champions, Kallum Russell. The Programme assists new business owners to get off to a solid footing by developing confidence, business skills, contacts, and clarity. The course, which is free to the “Acorns” (participants) and is sponsored by Liberty Business Centres, offers office space, weekly seminars delivered by local experts and a business mentor. 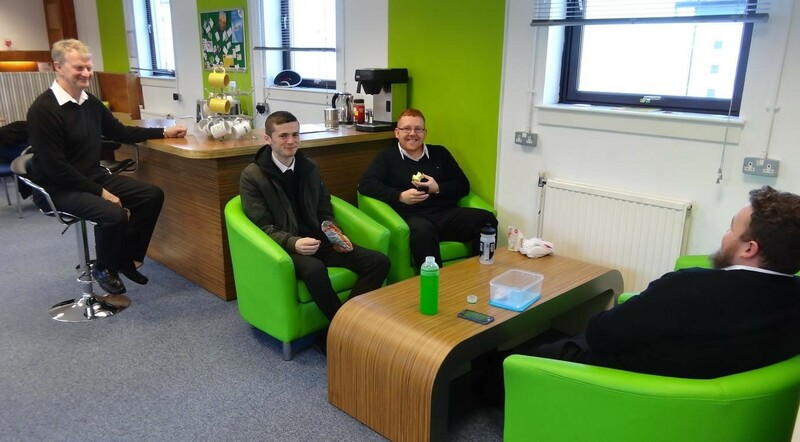 Norman said, “ We decided to set up in Fife because of the good location and various business initiatives and facilities that exist to support new businesses. We launched Pathway this week armed with the practical knowledge gained from Acorn Enterprise’s Programme and impressed with the classroom and rest facilities offered by Liberty Business Centres, where Linda and Kirsty have been very helpful. Although Pathway Pilot Training is independent, it has already established links to several flight training schools locally, in Europe and the USA to help aspiring commercial pilots choose the right path to their Air Transport Pilots Licence. Gerard said, “We are able to offer huge savings compared to the high cost of the Integrated Flight Schools and a trainee pilot will end up with exactly the same license and qualifications enabling him or her to fly for an airline. This will open up the prospects of a career as an airline pilot to those who might not otherwise be able to afford the high cost of getting a EU licence”. We hope that this new and innovative approach to pilot ground training will thrive in Fife and prove to be an attractive route for local and other EU private pilots to carry out this important first step on the route to becoming a professional pilot”.